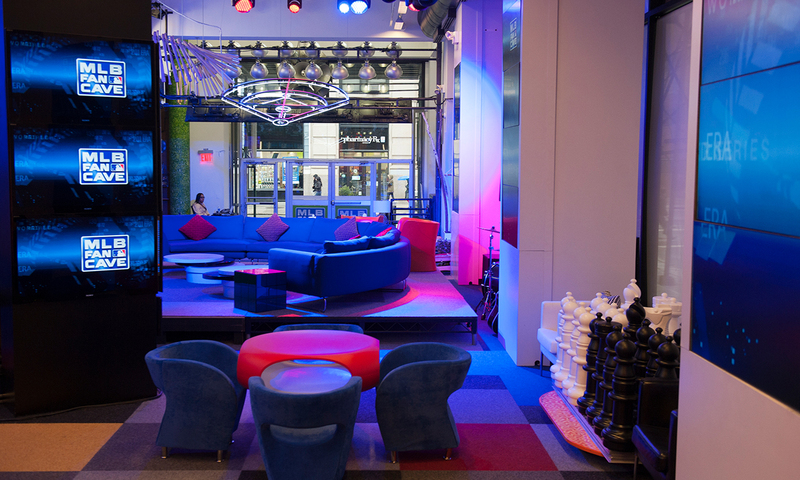 It’s a hang-out. 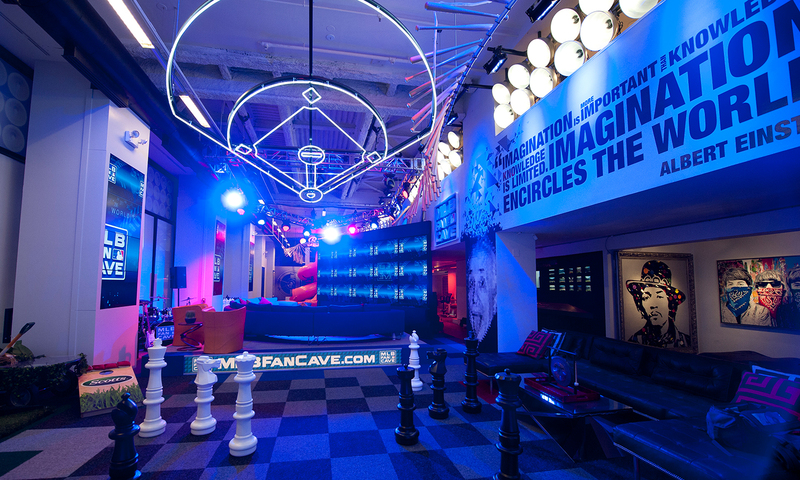 The Fan Cave is a spot for reflection, interaction, discussion, and engagement with America’s Pastime. 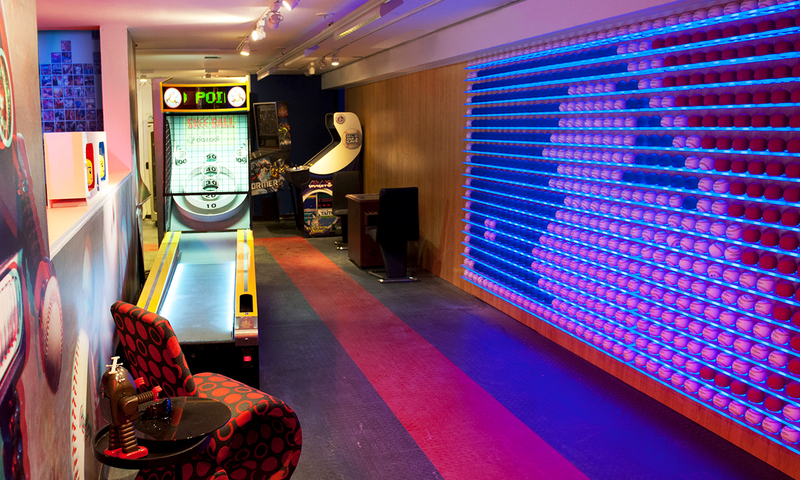 Also: video games! (And an extra ‘fridge off camera to keep the drinks cold.) 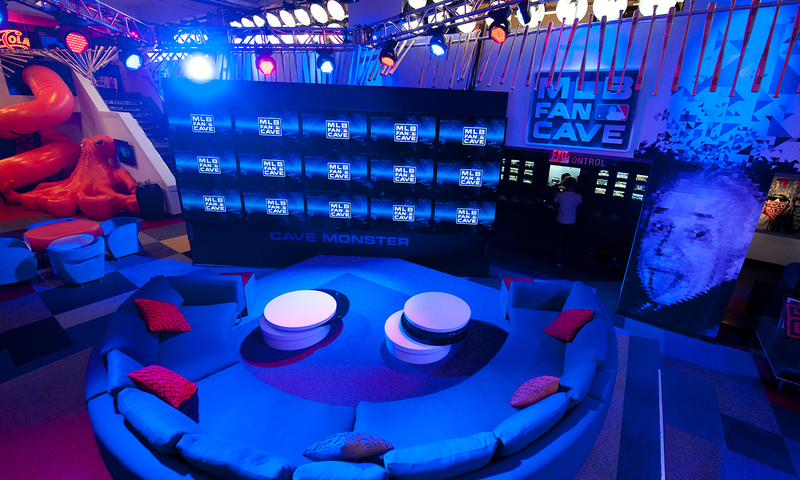 With an arcade-like aesthetic, state of the art technology, and unparalleled player access, the MLB Fan Cave does more than talk baseball — it gives baseball a room all its own.